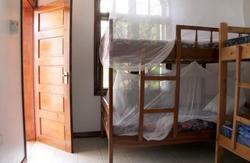 We offer accommodation in shared six-bed dorm rooms, where you can make close friends or a twin-bed double room for those who want more privacy. You can watch movies or play cards in our great living room combined with a spacious terrace, or chat with other volunteers for hours while looking at the moon and stars. We can arrange Kilimanjaro, Mount Meru and Ol Donoy Lengai climbs, and also, safaries to the Serengeti, Ngorongoro, Arusha, Lake Manyara and Tarangire National Parks. I'm sure you will save some money booking with us! Check in and check out is flexible with24h reception - please advise us about your estimated arrival time - Airport pickup transfers: (45 min taxi drive) 27 euro/ 35$/ 55.000 TZS. It is possible to pay in any of these currency. Get to the Arusha roundabout (keep lefti Arusha); tell the driver to head toward Arusha. We are located on the first right hand road after the roundabout opposite a Total Petrol Station and a restaurant called Peace Park. The name of the road is Nsilo Swai Street and we are the first gate on the right. 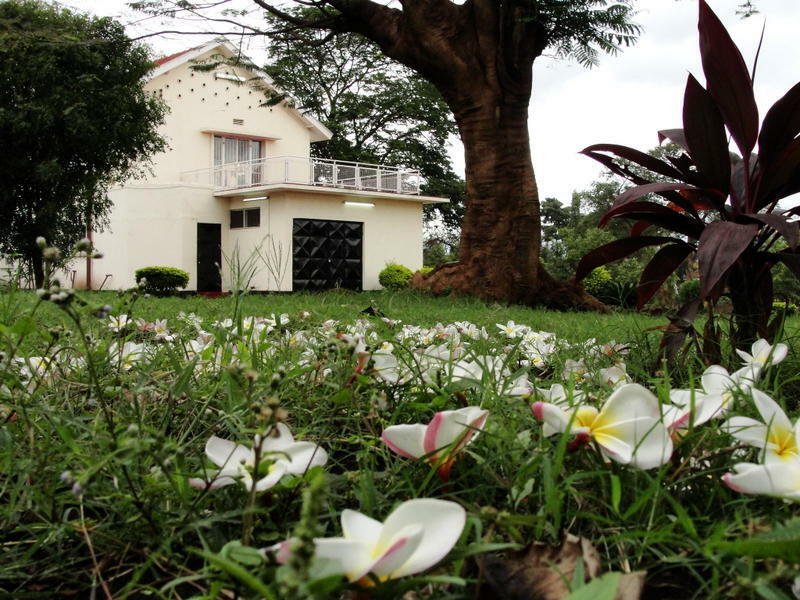 It is a big white house located on the Arusha road but the gate is on Nsilo Swai Street. Look for the small sign on the gate. Please note: If you end up at Chagga Bite, look across the road and you will see the the other end of Nsilo Swai Street as described in the directions above. Come down Nsilo Swai street and we are now the last gate on the left. Just before the Arusha roundabout you will see a big green road sign that shows the directions to the International School, Himo and Moshi Town. Immediately before the sign is a dirt road, Nsilo Swai Road. Turn left onto this road and we are the first gate on the right. 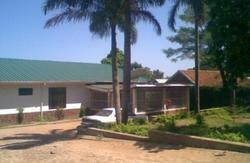 Again it is a big white house on the Arusha Road but the gate is on Nsilo Swai Street. Again look for the small sign on the gate. If you have problems, call our taxi driver, Theo, +255755548502 and he will take you to the hostel or the local manager, Ailsa at +255754888684. 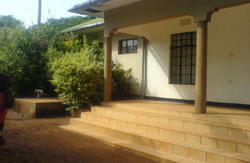 Kilimanjaro International Airport is approx 30-45 mins from Moshi. We can arrange aiport transfers and the approximate cost would be 50,000 TSH, or 33$.